As the winter winds blow outside, it’s time to start planning for our summer activities. 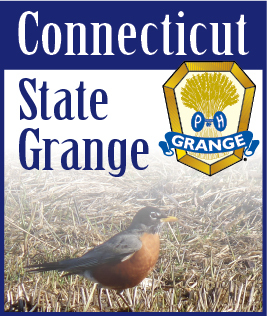 I just returned from Leaders Conference where details were worked out for the 99th Annual Northeast Grange Lecturers’ Conference. This year the conference will be held Monday, Tuesday and Wednesday, August 4, 5, & 6 at Keuka College in Keuka Park, New York. I’m told this is in the beautiful Finger Lakes section of New York. Once the weather warms up and we can take our camper out, I plan on taking a trip to the area and will get more information on the best routes to get there and things to see along the way. In the meantime, please mark your calendar and plan to join us. Connecticut has always has always had a great turnout. Let’s welcome New York to the Northeast Region by attending and supporting them in this endeavor. The cost of the conference will remain the same as last year. For the full conference for a double room it will be $195 per person and for a single room it will be $205 per person. Connecticut will present their program on Wednesday at 11:00 a.m. Our rehearsal will be at 10:00. The title for our program is “In Simpler Times”. The overall conference is titled “Remember When”. I will need lots of help with this one. What I picture in my mind is a family sitting on a front porch in rocking chairs relaxing. There have got to be some other ideas out there. I hope to hear from you with suggestions. For those of you who asked to have the shakers back, they are coming back. We will, however, not do individual state songs. We have someone writing one for the group. Hope to see you there.